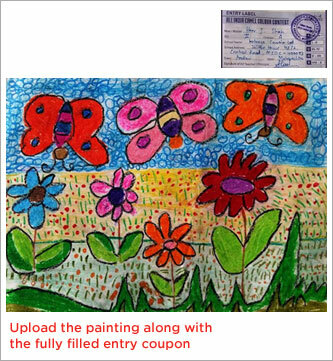 The CAC / AICCC Coupon is compulsory along with stamp of the School. Disclaimer : Entries will not be accepted without Entry coupon (AICCC/CAC Coupon), Sign & Stamp of the School. We take no responsibility and assume no liability in case any participant is not selected and/or awarded the prizes, and mere participation will not entitle anyone to win prizes. Winner would be declared through fair competition and selection for participation is done only if the participants abide by the terms and conditions mentioned herein. The decision of jury would be final and binding on all participation and no further correspondence would be entertained in this regard.